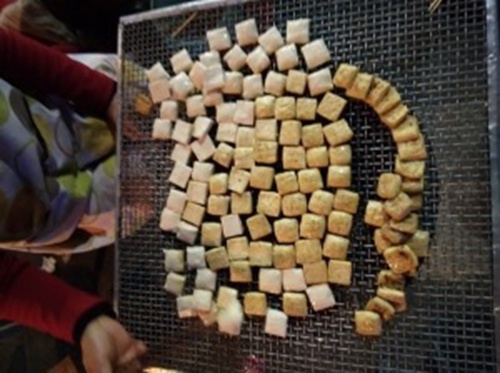 Another unique snack in Anlong county is roast blocks of tofu, which can be eaten with chili powder. Tangyuan, a traditional dessert made of sticky rice, boiled in casserole dishes with brown sugar. 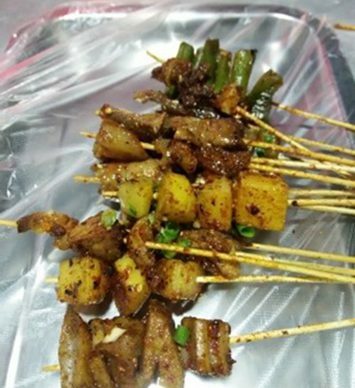 More than 50 kinds of skewers are available for residents and tourists, including vegetables, sausages and mutton. 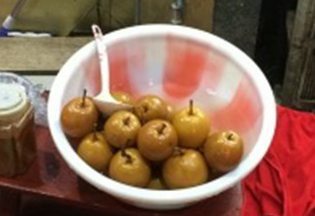 Pickled with barley salt and rock sugar, the pears turn out sweet and crisp. Siwawa (meaning 'baby in swaddling clothes'), is made from a thin palm-rice cake wrapped with various vegetables in the shape of a newborn infant, hence the name. 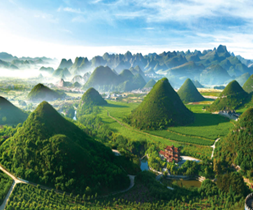 Red oil Liangjian noodles are a favorite in Guiyang in summer. Fried Candy is made by wrapping a rice dumpling with meat or cassia then frying it in hot oil, until it is half-cooked. 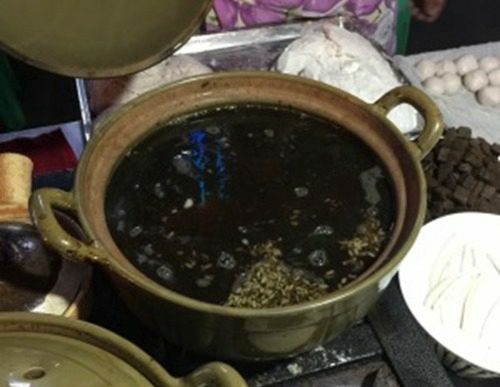 Anlong Erkuai rice cake is a popular dish with the Bouyei and Miao ethnic people in Anlong, Qianxinan.